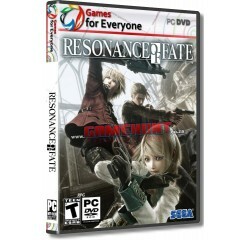 Resonance of Fate - R160,00 : Game Hunt, Where we lead, others follow. A tale of guns and emotional bonds woven in a world about to meet its end. The fate of the world is changed in a flurry of bullets. A battle system unlike any you've ever experienced, that combines strategy with fast-paced thrills. In the distant future, the earth is polluted and ruined. Humankind, realizing it's on the brink of extinction, creates a massive environmental conservation device known as Basel, entrusting the very cycle of life and death to a machine. Processor - Intel core i3 2100 orAMD A8-6500® or equivalent AMD® processor.